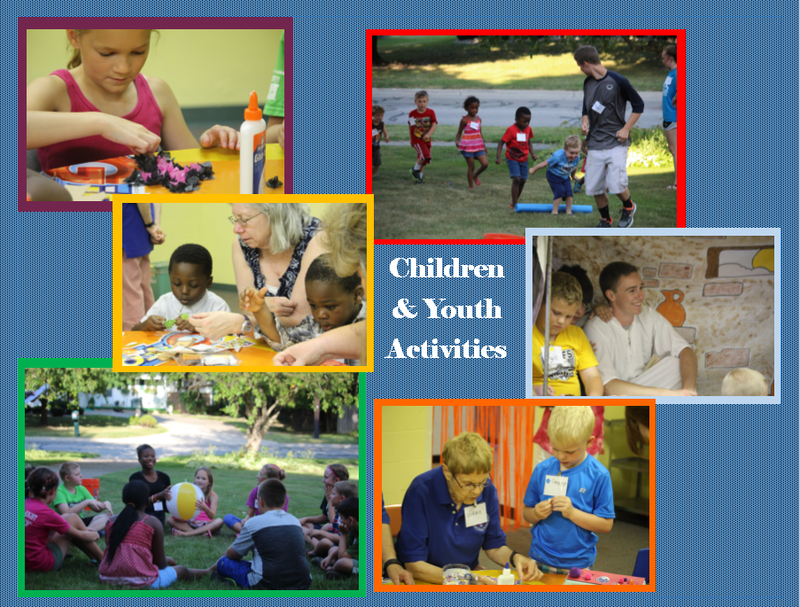 Children and youth are loved at First Presbyterian! While all children are welcome to remain in worship on Sunday mornings, there is also an opportunity to leave following the children’s message for age-appropriate time as the worship Scripture passages are studied (preK-6th grade). Because communion is foundational to our faith, on the Sundays when it is celebrated, children return to take the sacrament with their families. Once a month, usually on the second Sunday, we join in worship with a more intentional intergenerational format and children remain in worship and occasionally participate in leadership. Every Sunday there is a staffed nursery for children birth-preK for the entire worship service. In preparation for worship leadership, children are invited to sing, move, and play rhythm instruments as a part of First Presbyterian’s Children’s Choir. Meeting for a short time following the worship service (and time for snacks, of course), the group practices together under the leadership of Mary Jo Cox. J-Walkers (4th-6th graders) meet monthly for fellowship, community building, and faith formation. This group has been found sledding, ice skating, rock climbing, sharing their God-given talents with the rest of the group, sleeping over at the church, carving pumpkins, and sharing in many other amazing adventures. The First Presbyterian Church Youth Group (high school) meets bi-weekly at the home of pastor Andrew Miller. With a meal, a study of the worship theme/passages of the day and usually some raucous laughter and games, this group forms bonds as they strengthen their faith together. In addition to these groups and activities, children and youth actively participate in the life of the church through service and mission projects, participation on the session (governing board) and teams of the church, Vacation Bible School in the summer, confirmation classes, volunteering in the church nursery, serving as worship leadership through music, speaking, and drama, and a variety of other opportunities. In 2014, First Presbyterian was awarded a Presbyterian Mariners Family Ministry Grant through the Presbyterian Church (U.S.A.). This two year grant has allowed us to begin providing families with “kits” to celebrate the liturgical year in their homes. These kits which have included party supplies for a birthday celebration on Pentecost, Advent trees, blankets for babies for Epiphany, prayer dice, and storybooks for Easter are featured on the blog www.theliturgicalfamily.weebly.com. The kits recognize that parents, with God’s help, are key in the faith formation of our children and First Presbyterian wants to support families in all that they do in this ministry.